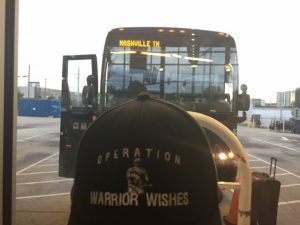 Game 5 – Warrior Wishes Come True In The Music City! My dad has had a pretty easy week making Wishes come true compared to last weeks madness. 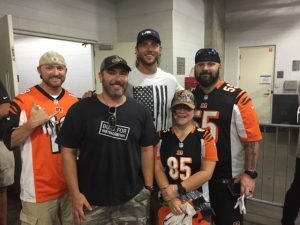 He kicked off week 2 in Cincinnati hosting Warriors at the Bengals game thanks to Tyler Eifert! 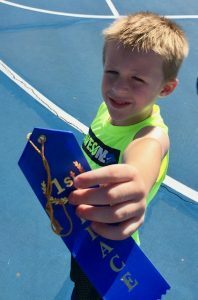 After the game he grabbed a bus back to Chicago to spend the day cheering on Xander at his track meet. Xander won all 4 races! 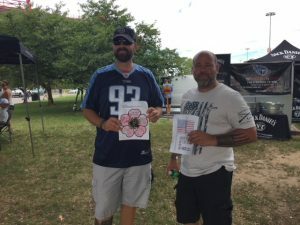 Mark, the Marine in our board of directors, picked up my dad Saturday afternoon and they headed out for Nashville to host warriors at the Titans game. My dad enjoyed the drive with Mark. 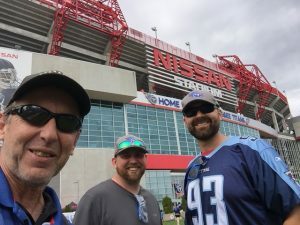 It gave him a nice break from the busses… They pulled into the “Music City” at around 1 am and got a few hours of sleep before heading over to Nissan Stadium, home of the Tennessee Titans! Today we had the honor of hosting Marine Gunnery SGT Dustin Hughes and his brother in law Josh. Fun facts, Josh’s son just joined the Air Force & Dustin was celebrating his 34th Birthday! In addition to our new guests, my dad also met up with Brian and Demond Dearing at the Jack Daniels Tailgate. We had hosted Brian & Demond a few years ago. My dad enjoyed catching up with them. 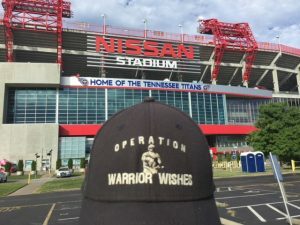 Tom & Peter at Jack Daniels have been hosting Warriors at their tailgate since we started our mission in 2012! They provide great food, great drinks & a great experience every time!!! 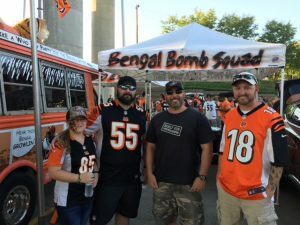 We cannot thank them enough for their support!!! On a hot and humid day in Nashville, everyone enjoyed getting to me each other at the tailgate. My dad also presented the warriors with new Titans caps courtesy of New Era & gave each of them thank you letters written by students. Once inside the stadium the guys made their way down to their 2nd row seats located right next to the Players tunnel! Unfortunately it was the Texans tunnel, but still awesome! The Titans started the game with backup QB Blaine Gabbert as Marcus Mariota nursed an injury he sustained in week 1. Gab beer filled in nicely engineering 2 early touchdown drives to take an early 14-0 lead. But the Texans fought back to tie the game in the second half. But the Titans literally made a last minute field goal to take a 20-17 lead and won the game! The win was a nice birthday present for SGT Hughes! 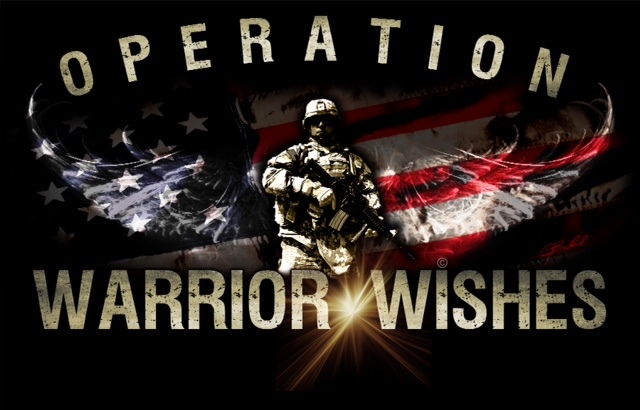 Operation Warrior Wishes would like to thank Tom & Pete from Jack Daniels for their continued support. 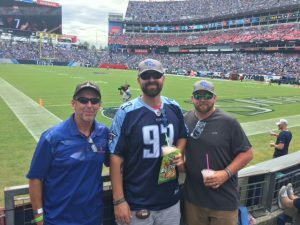 We also want to thank New Era for providing Titans caps to the warriors & Mark for for giving my dad a ride to Nashville! 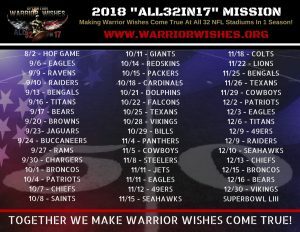 TOGETHER WE MAKE WARRIOR WISHES COME TRUE! 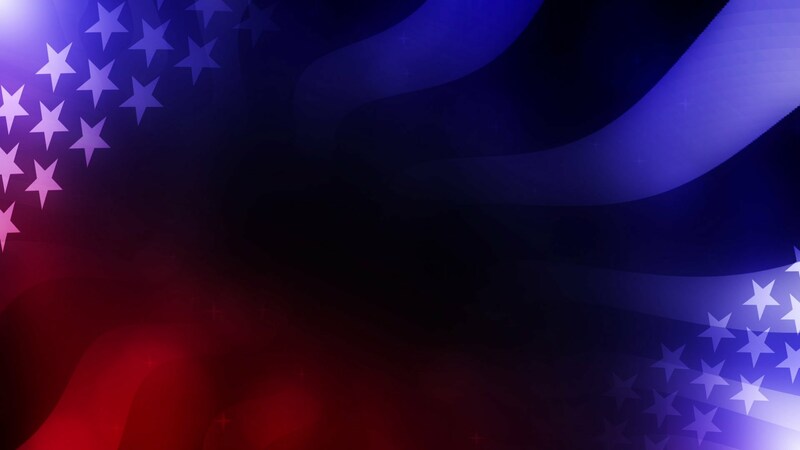 Most importantly, we want to thank Marine Gunnery SGT Dustin Hughes, as well as Josh son in the Air Force for their past, present and future service to our country! My dad has a 7:15pm bus back to Chicago and will get a nice break tomorrow hosting Warriors in our home town of Chicago! Stay Tuned!!! 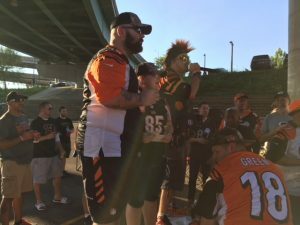 Game 4 – Tyler Eifert Makes Warrior Wishes Come True In Cincy!